Lately I wrote about some basic sketching techniques. But today I will deal with the holy grail of fine arts: oil painting. On the one hand, oil-based pictures are a major part of the most significant art collections and are shown in famous museums all over the world. On the other hand, oil paintings are now traded on the art market at high prices. But it is not that easy to start with. There are a few pitfalls you have to be aware of and some hurdles you have to overcome. But once you succeed, painting with oil-based colour can be very rewarding. So here are some useful tips and trick on how to get start with painting with oil. Oil-based colours smell! That is why you need a proper workspace. 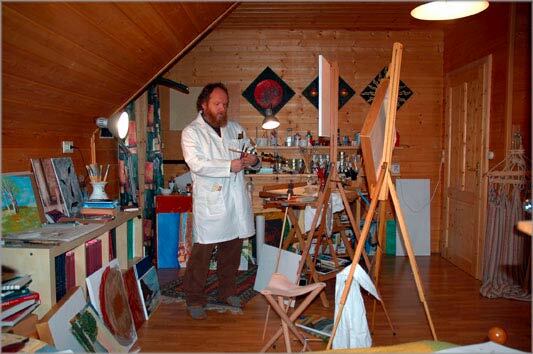 Only paint in a room or studio which is well ventilated. You should never paint in your own home, unless you can close the doors to your living and sleeping area really tightly. Always put a pad or an underlay under your workplace. Oil paint is extremely difficult to remove from carpets, tablecloths, pillows, and so on. The same applies to clothes. That is why you always need to put on some work cloths like old pants and shirts. Or even better, get a smock or a work coat. Also shoes are usually ruined, once a few splashes of oil paint have been absorbed by the leather. So get some proper working shoes as well. If you don't have any, just get some cheap second hand cloths. The website Gebraucht-Kaufen.at is a great start for that. Once you have prepared your workspace, you have to overcome the next hurdle. Getting started with oil-based paint can be expensive. But the same applies to watercolours. 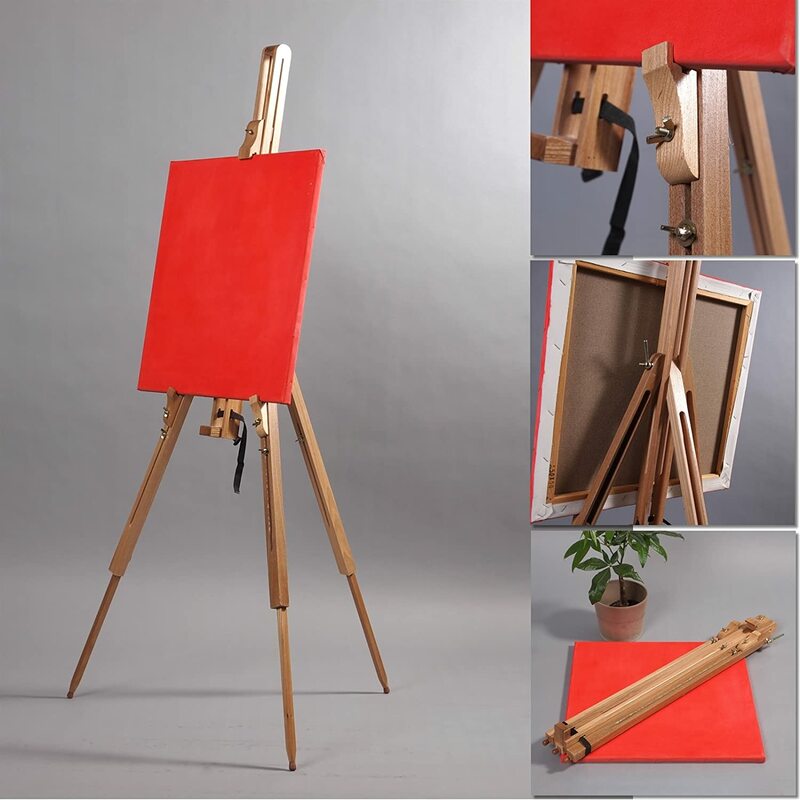 You always need some basic equipment like an easel, a basic set of colours, brushes as well as dissolver for cleaning your equipment. And last but not least you need a canvas. This can easily all add up to a few hundred bucks, depending on how ambitious your want to start. If you really interested to get started, and I assume so because you are reading this, just visit one of my favourite shopping websites. 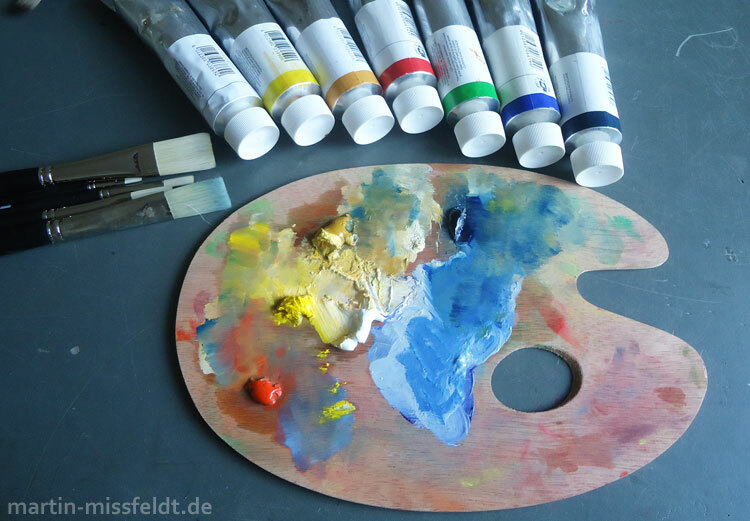 On http://www.gebraucht-kaufen.at/staffelei you can find great beginner sets and also cheap second hand easels for sale. Nearly every manufacturer offers so called starter sets for oil-based colours. They are really suitable as a gift because they also come with an appropriate storage box. But in terms of painting, certain colours are used more often than others. Additionally, these colour box sets usually contain certain colour shades, which are usually never needed, because basically, one can mix all colours from the base colours. A very nice summary can be found on https://www.thoughtco.com/best-brands-of-oil-paints-2578579. As I mentioned before, please check out http://www.gebraucht-kaufen.at/olfarbe. They also offer cheap oil colour starter sets as well as additional equipment. Both new and second hand. So that's it for today. May the tips and tricks help you to get started with oil painting. Don't be afraid if it doesn't work out the first times. Just keep on trying.